check out how IPCS is cultivating healthy change. 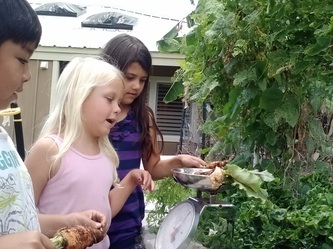 Wonder Gardens’ mission is to empower students with a deeper understanding and practical knowledge about the interwoven connections between food, humans, culture, and nature. 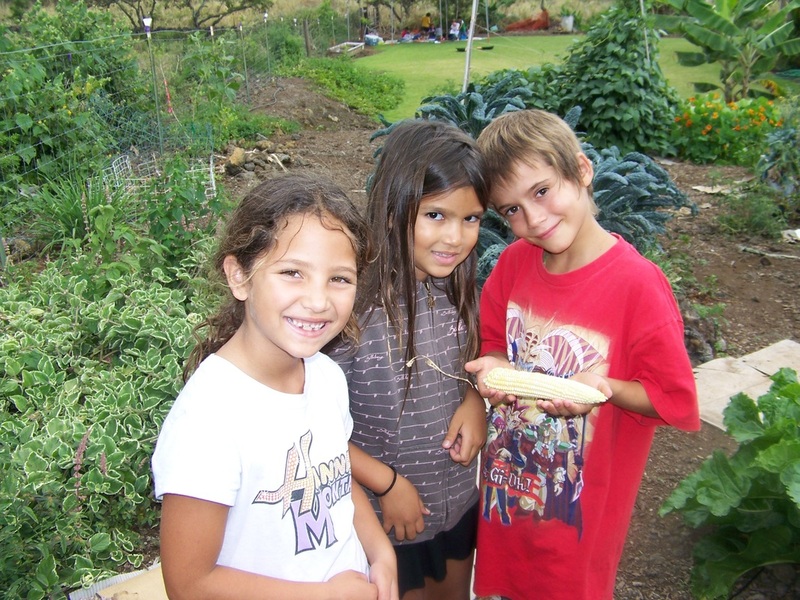 The purpose of our community gardens are to provide an outdoor classroom where students will gain hands-on experience researching, harvesting, sharing, using, and eating wholesome, nutritious, sustainably-grown plants. 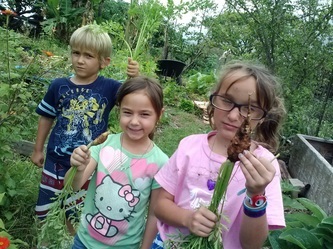 The process of growing plants for consumption, use, and/or beauty will empower students to make healthy choices for themselves, our Island, and our world. 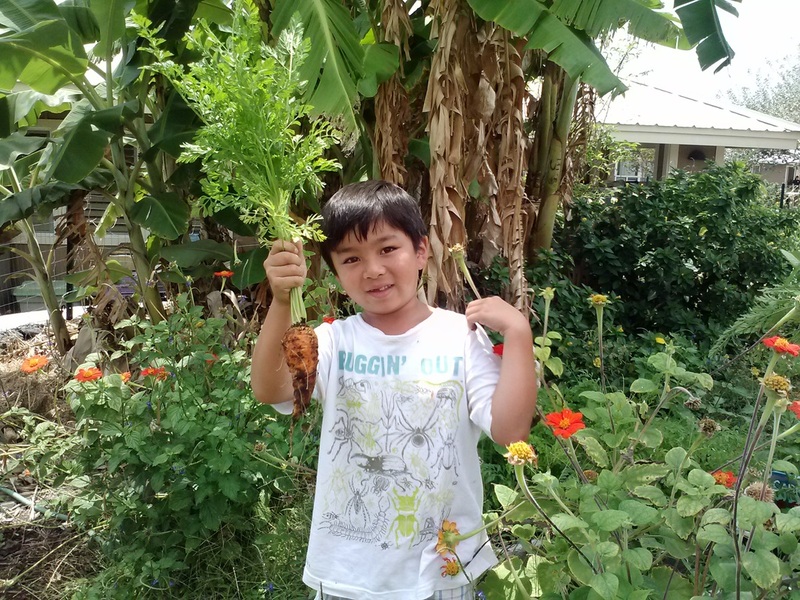 Students have been exploring wai (fresh water) and auwai (irrigation ditch) through natural flow irrigation methods. Natural flow employs gravity, any slight slope, and a water source to provide thirsty plants fresh water. Natural flow saves water because we deep water deep one a week instead of light watering every day. In an effort to learn about food that grows underground, K/1 grade garden students grew carrots. 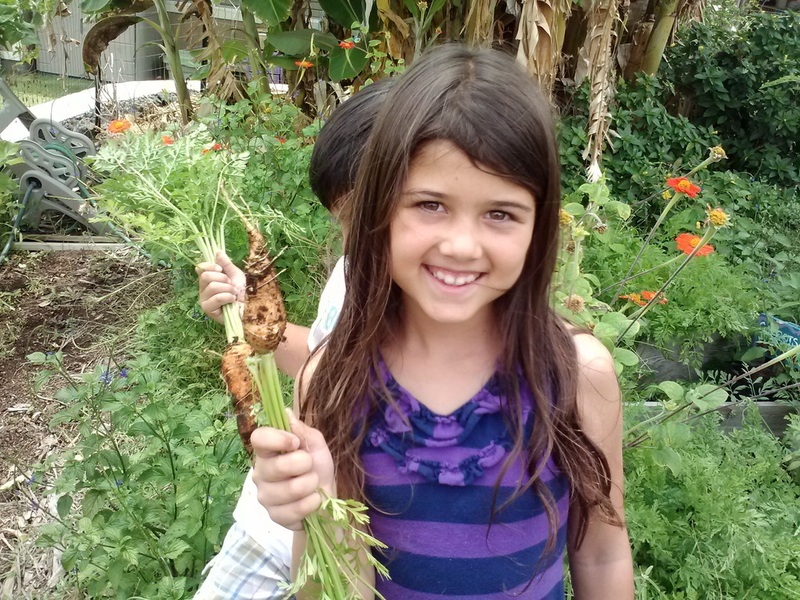 Our school's smallest students planted the seeds, tended them, and harvested over 10 pounds of carrots last month! Students were given the choice between beets and carrots, and most were given the choice to eat their bounty or take it home to share. Some gardeners made dip to dunk carrots in while others ate them straight after washing. Some of our carrots plants even started to seed, so we got to see the grand, white flowers grow to attract plenty busy bees. These seeds will be gathered for next year's planting. Great job gardeners! Pounding stakes into hard packed filled ground is never easy, but our 6/7 grade gardeners took the job head on! Look for their pallet fenced garden area in the overflow parking lot. 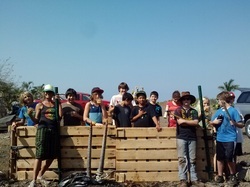 The exceptional pallets were donated by Sunetric and kept hundreds of pounds of waste from entering the stream. Pallets were tethered together with inner tubes. Approximately 30 bike inner tubes were prevented from entering our landfill. The fence was decorated with extra house paint and prevented unused toxic waste from entering our landfill. The corner of this lot is the breaking ground of our future community garden and a current study area for 6/7 grade science class soil experimentation. 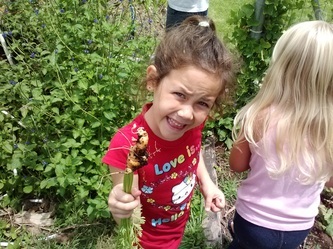 Soil scientists are being asked to discover what/how local waste amendments can biodegrade together to create nutrient rich soil instead of filling dumps or being shipped overseas for recycling. Soil scientists visited Organic Matters - a local business that is growing beautiful compost from landscape waste. The "black gold" they sell to our community is a priceless system and uplifting model.